So you think the theory of disastrous climate change has been proved, and that scientists are united in their efforts to force the nations of the world to reduce their carbon emissions! 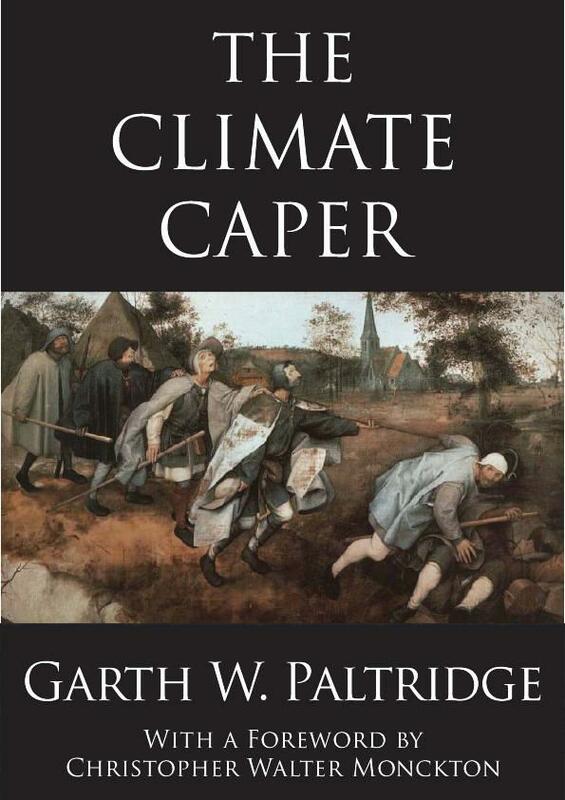 In his book The Climate Caper, with a light touch and nicely readable manner, Professor Paltridge shows that the case for action against climate change is not so certain as is presented to politicians and the public. He leads us through the massive uncertainties which are inherently part of the ‘climate modelling process’; he examines the even greater uncertainties associated with economic forecasts of climatic doom; and he discusses in detail the conscious and sub-conscious forces operating to ensure that scepticism within the scientific community is kept from the public eye. It seems that governments are indeed becoming captive to a scientific and technological elite - an elite which is achieving its ends by manipulating fear of climate change into the world’s greatest example of a religion for the politically correct.